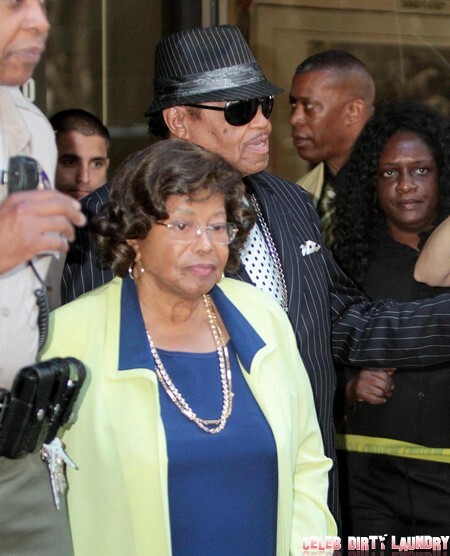 Katherine Jackson’s crusade to seek more money justice for the death of her beloved son Michael Jackson, has hit a road block. Poor Katherine! According to court documents, Katherine is suing for $40 billion in damages. That’s a lot of dough! Reportedly, all of her claims in a wrongful death lawsuit against AEG and its president Tim Leiweke were thrown out by a California court. But apparently, one of her claims still stands a chance. Not so fast. Don’t celebrate just yet Katherine. The remaining defendants have filed legal documents with the Court of Appeal in California to dismiss that one last remaining claim, which is whether AEG Live neglectfully put Dr. Conrad Murray on its payroll. The California Court of Appeals has ordered the King of Pop’s medical records unsealed due to all these claims. Maybe some information will be leaked out. Dr. Murray is already serving some time in jail. He was convicted back in 2011 of involuntary manslaughter death of Michael after giving the pop star a fatal dose of Propofol to help him catch some Z’s and satisfy his raging drug addiction. But it seems that Dr. Murray hadn’t officially signed an employment contract with AEG when Jackson died in 2009. Uh-oh. That wasn’t a smart move. Looks like AEG may be off the hook. AEG Live’s attorney, Marvin Putnam, had this to say if the case gets the green light, “AEG Live had no idea Jackson was looking for a doctor to give him propofol or that Dr. Murray had agreed to provide the dangerous drug to him. Mr. Jackson’s death was a horrible tragedy for which AEG Live is simply not responsible.” Ouch! The so-called trial is slated for April 1. We’ll see if it makes it there! We hope Katherine gets the peace she is searching for – more money and more people to blame for her son’s death. The Jackson family seems to be falling apart. It’s just not the same without Michael! Of course the Jackson family was still pretty f**ked up when Michael was alive.